I am pleased to see you here, my dear readers! 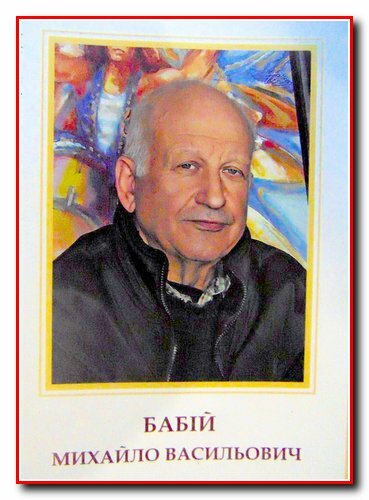 Today, I want to acquaint Mykhailo Vasyliovych Babiy with you and to share some information about life and work of this really amazing and talented person. 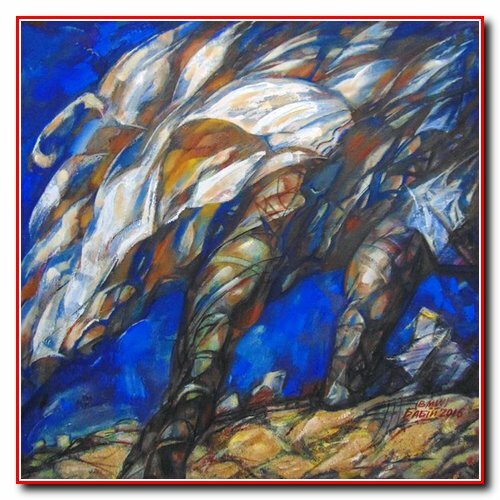 He creates paintings in all genres, such as: portrait, still life, landscape, monumental and wall paintings, graphics, themed genres and abstract art. 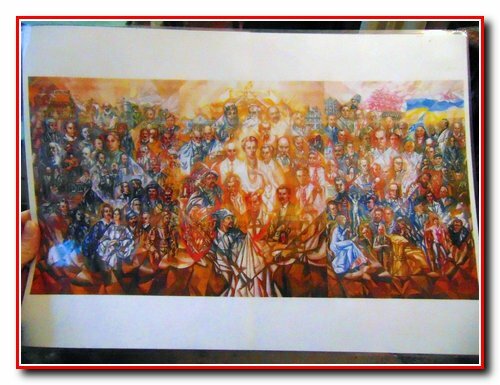 Mykhailo Vasyliovych makes copies of famous artists, and even of famous artists from other centuries with an accuracy of 98.5%. For example: Peter Paul Rubens, Jean-François Millet and Diego Velasquez. 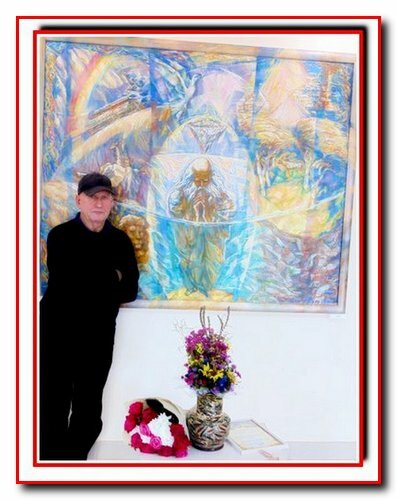 Mykhailo was born on 18th of March 1948 in Vinytsia. He finished children's art school in Vinnytsia. 1968. He finished Odesa Art College named after M.B. Grekov. 1975. 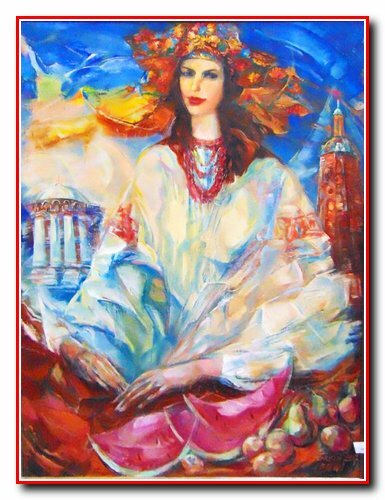 He finished Kyiv State Art Institute (now National Academy of Fine Arts and Architecture), faculty of painting, (Workshop of Ukrainian folk artist V.V. Shatalin). 1975 became the beginning of participation in exhibitions that were not only regional or national, but also international. He had more than 15 personal exhibitions including ones in Poland and New York. It was in 1992. 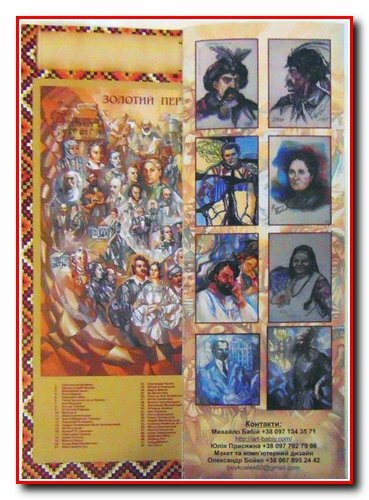 1989 – he became a member of the National Union of Artists of Ukraine. 1996 – he began to participate in International ART festivals. 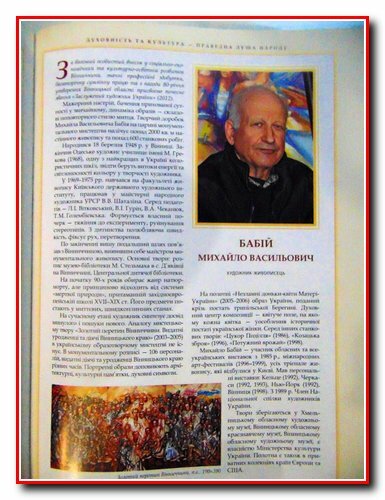 2012 – he became the Honored Artist of Ukraine. 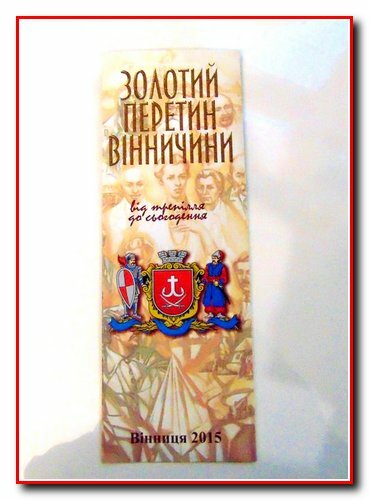 (Awards were held on the 80th anniversary of the Vinnytsia region, which was founded in 1932). 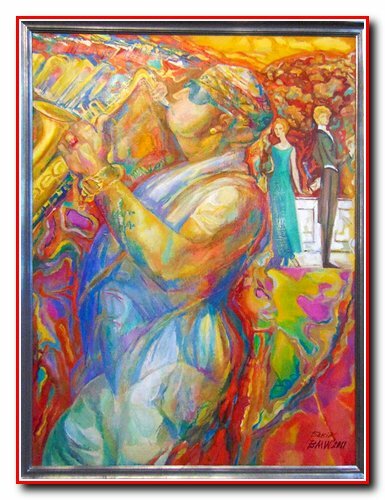 Mykhailo Babiy is considered a "jazz" artist who can imitate improvised non-standard paintings, emphasizing the versatility of artistic art and the "volume" of world outlook and inspiration. Museum-library of Mykhailo Stelmakh in the village of Dyakivtsi, Litynskyi district. The scope of work is 177 square meters at an altitude of 7-12 meters. It was in 1988. "Fairy Tale Room" in the city of Vinnytsia. 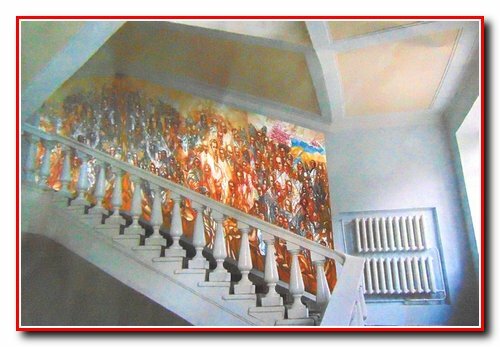 Painting at Vinnitsa Polytechnic University (The theme of cosmonautics, "Golden section"). 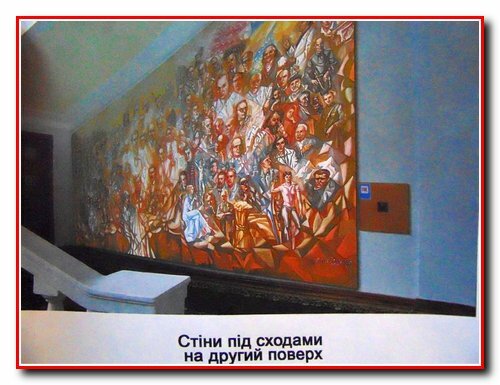 The painting of the Central Children's Library in Vinnitsa is 130 square meters. 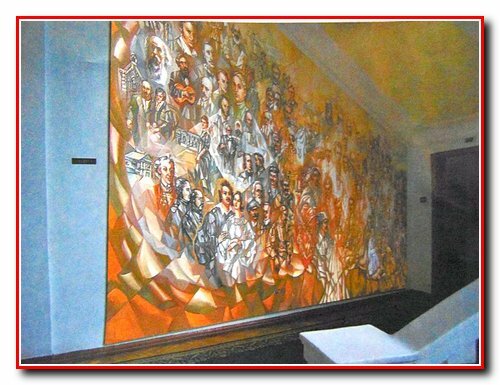 In total there are more than 800 canvases and 2000 square meters of wall paintings. 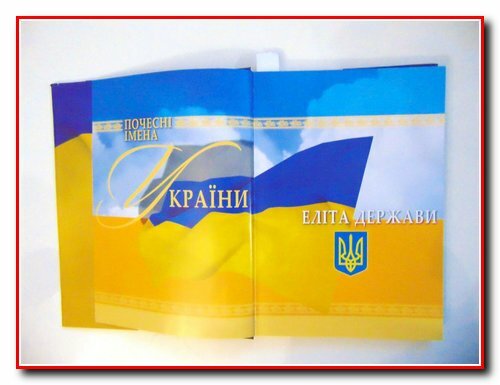 Honorary Names of Ukraine. Elite of the State. 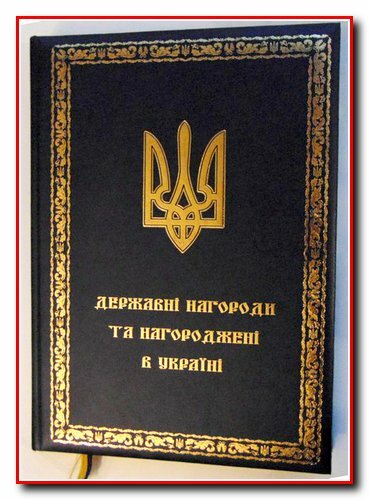 State awards and rewards in Ukraine. "The Ark". 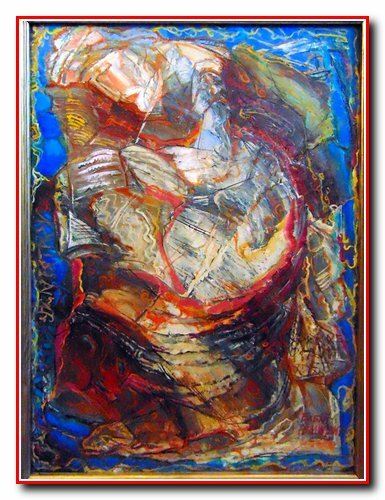 This canvas is simply incredible in creation and special in the design. 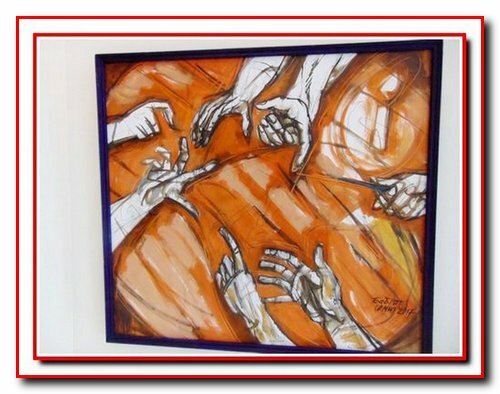 "Discussion" "arms", in which I personally see the individuality of each of us and the need to be close. During the years of study and creativity there were created many copyrights and copies, dozens of exhibitions were created. 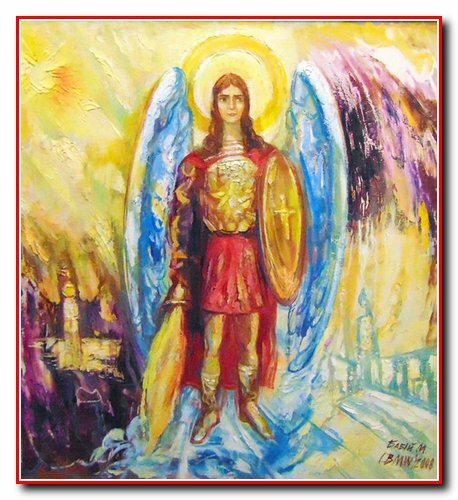 Paintings from Ukraine went to different countries of America and Europe. 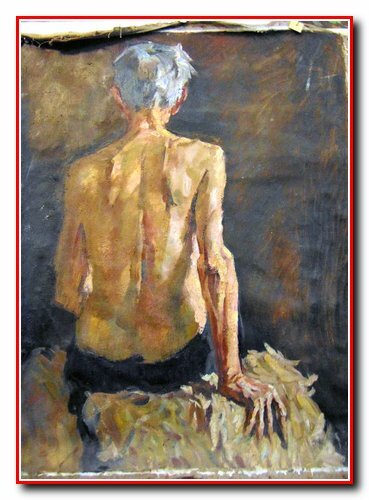 Morover Mykhailo Vasyliovych has mastery and talent, he also shares his experience, preparing students for entry into art institutes of Ukraine, and even abroad. Everything is serious, with a special approach, with lists, program and high task criteria. 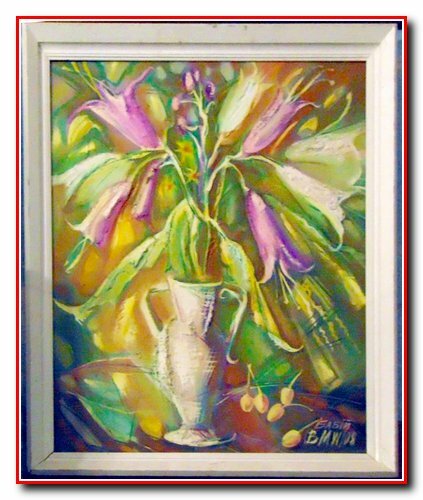 The artist's paintings have an author's signature-abbreviation of initials in English: BMV, some of the paintings are in the Vinnytsia Regional Art Museum and Vinnytsa Regional Museum, in the Ministry of Culture of Ukraine. 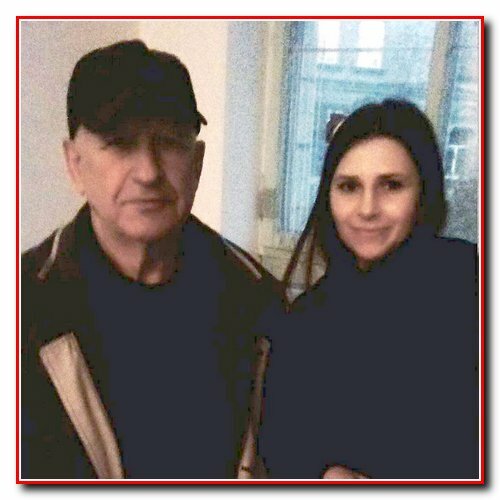 But still, Mykhailo Babiy (as an artist) and Julia Prysiazhna (as an art critic) are the founders of the wonderful Golden section project, the "golden section", based on a picture and booklets that can become a business card of the city. 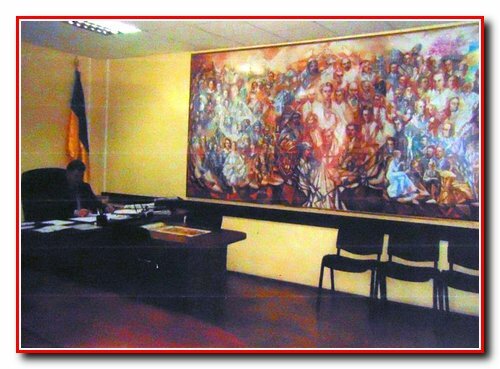 One picture consists of 3 modular paintings, which can be a single composition, or be fixed separately in the building of the Regional Council. 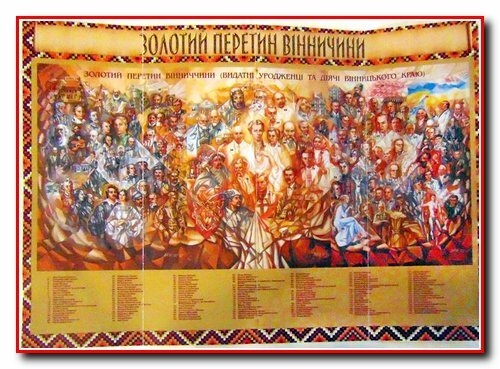 The size of the picture: 1.9 m to 3.9 m. The picture depicts the people who made a significant contribution to the development of the region. The size of each face depends on the level of their contribution. All personalities are arranged according to the chronology - from Trypillia times to the most recent times (all people who have already gone to eternity). Julia helped with the preparation of information about outstanding people. The artist also has pictures with a portrait of Julia. 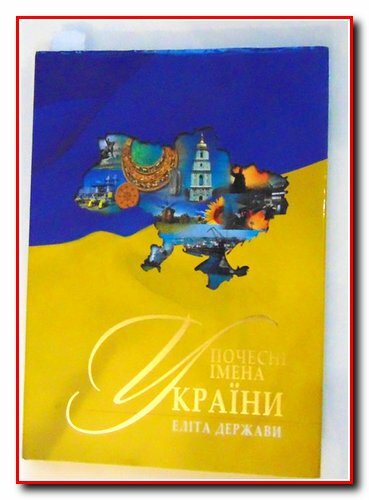 As for the module picture "Golden Crossing", the picture reads the fate of Vinnytsia as well as Ukraine is read on the picture. It looks like Ukraine is at the crossroads in the center of the universe. The whole composition is based on 3 rhombuses (And here the artist told me about some signs from the towel. For example, the diamond represents a symbol of the processed field and a diamond with a dot inside - seeded field), and the placement of the diamond on the tree of life. This ingenious picture can be printed on such booklets that are distributed to the guests. When the guest understands that he has deeply fallen into the historical center of Ukraine, an intellectual and rich culture of the land. 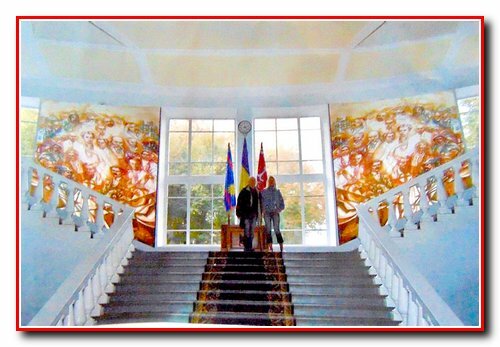 The paintings are nice in the Regional Administration (one of the variations), where the main symposiums (Economic, Medical, Agronomic) often come to Vinnytsia, where many foreign guests come to Vinnytsia, and this way it is possible to popularize Ukraine in the world and make the city popular and interesting for investors. 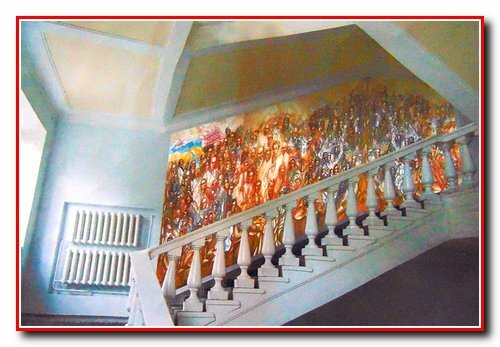 The painting "Golden section" is reproduced and is available in many schools and districts of the region, including the offices. 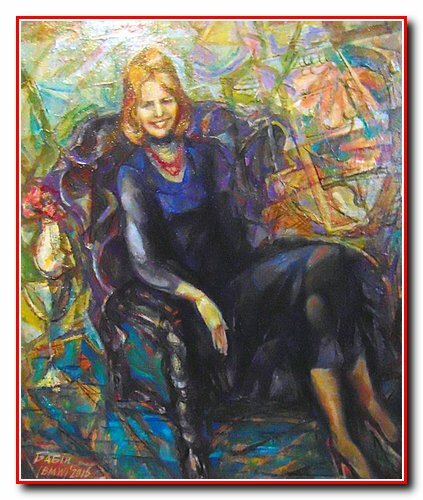 Not once among the paintings of Mykhailo Vasyliovich one could see a graceful feminine constitution with the signature: "The wife of the artist Olena Babiy." Besides the active creative path, Mykhailo Babiy is the father of 2 children, Olha (teacher of English) and Volodymyr (furniture designer), and he is a grandfather of 7 grandchildren. Recently, he began to lead the genealogy tree. Also, the portrait of the mother and both parents is extremely sensual. It shows a respectful attitude to the parents and is the basis for creating all the beauty that is important for the artist. 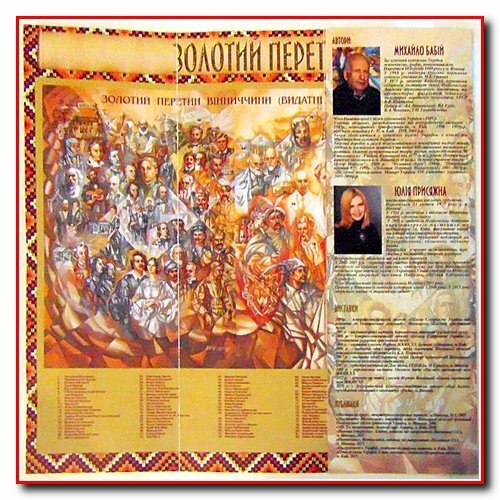 The native land - Podillya, its history, attractions and features, and in particular the hometown - Vinnitsa, and everything surrounding inspires the artist to create new masterpieces. 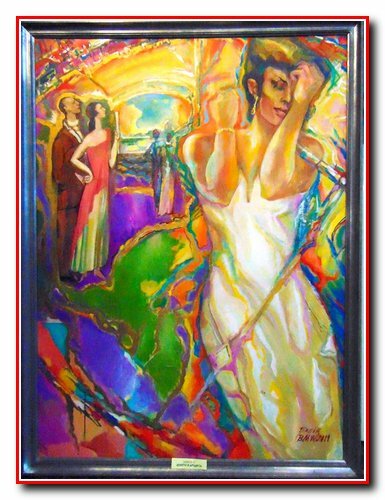 After all, the artist sees something special in everything as he has already had ideas and style of reproduction. 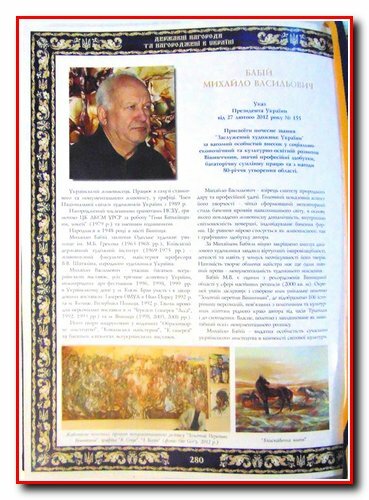 "The one who overcomes the path"
The article was written at a personal meeting with the artist, and I received from Mykhailo catalogs of his works in the present.